My husband is at a college basketball game tonight. Pfff. Basketball. I used to play basketball. Why would I waste my time watching a bunch of twenty-something year olds playing a sport that I dominate at? Clearly, I'm being humble. And dishonest. ...considered is the operative word here. Then it came to me, like God spoke the very words out of the heavens. 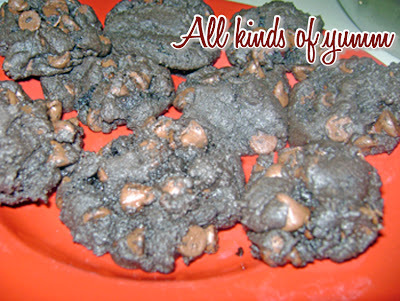 "YOU SHALL BAKE DARK CHOCOLATE CHUNK COOKIES." Okay, God didn't really speak to me. That was on the verge of blasphemy. My apologies. But I do think He would approve. In another bowl, mix together the butter and sugar. Gradually blend in the flour mixture. Make sure there are no white streaks. This is dark chocolate here, people. Before we go on, I have to know...does anyone else just use the entire bag? I have never once in my life actually measured out the amount of chocolate chips the recipe called for. That's how my mom taught me. She's a good Christian woman who baked good Christian cookies. So that's why I do it. 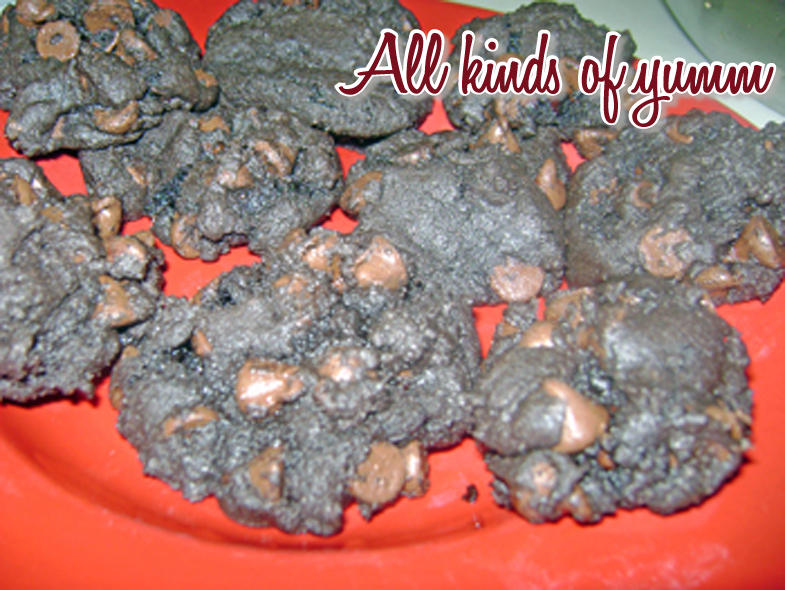 Put them on a sprayed cookie sheet about an inch apart and bake for 10-12 minutes. I like mine soft and falling apart, but that's your call. So do what I did and run to the dollar store and spend $2 on the stuff you don't have in your pantry, which for me were the chocolate chips, and make these cookies. It won't change your life, but it'll change your night.